Once again, I’m here with a Mission not-a-maxi dress. I first made one when I was visiting Gillian last year and I have yet to make the full maxi dress. I just keep making the short version. Not quite a mini but definitely nowhere near a maxi. Then it got chilly and I had bought some sweater knit in Canada and modified the Mission Maxi at the shoulders by tracing the top of the Renfrew. I love the fit in the body of the Mission Maxi but I didn’t want the racer back, obviously, because I wanted to add sleeves. 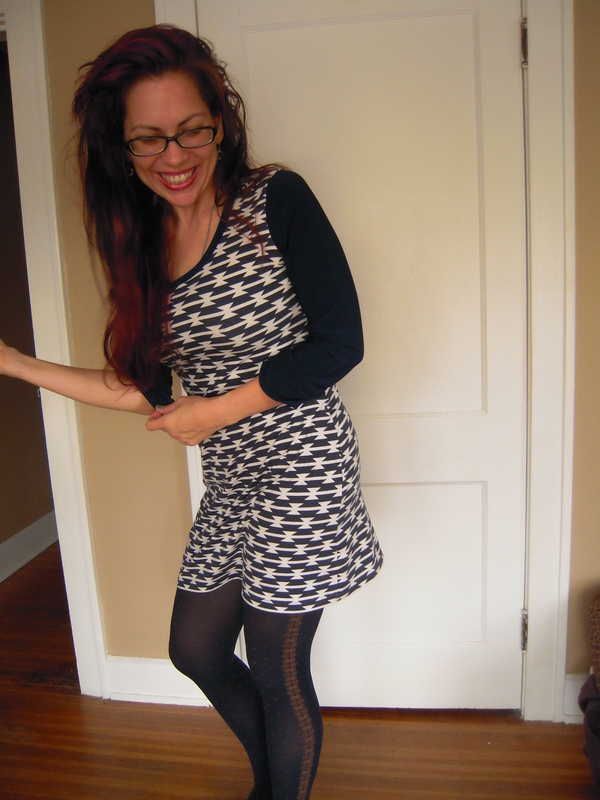 So that basically became my sweater dress pattern– which, by the way, I’m eager to make again this Fall into Winter. The only change I made on this version of my Renfrew/Mission Maxi mash-up was to finally take it in at the hips. I think it’s much better-especially if you look at the first one I made. The leopard Mission (not a) maxi I made still has the tad wider hips. I believe I just used wider seam allowances but all in all I’m glad I finally fixed that. Who’s ready for sweater dress weather?? Your’s looks great – love that tomahawk fabric! Super cute on you and I bet you were able to whip it out in a couple of hours. Bonus! Yeah, always a bonus. I can’t believe I wasn’t reusing patterns before. Thanks Gillian! Ooh, that’s a genius pattern marriage! Love the fabric you used too! Thank you! I can see myself using it over and over again. They work so well together. Vuurry Cute! I’m planning on cutting out three Lolas tomorrow. 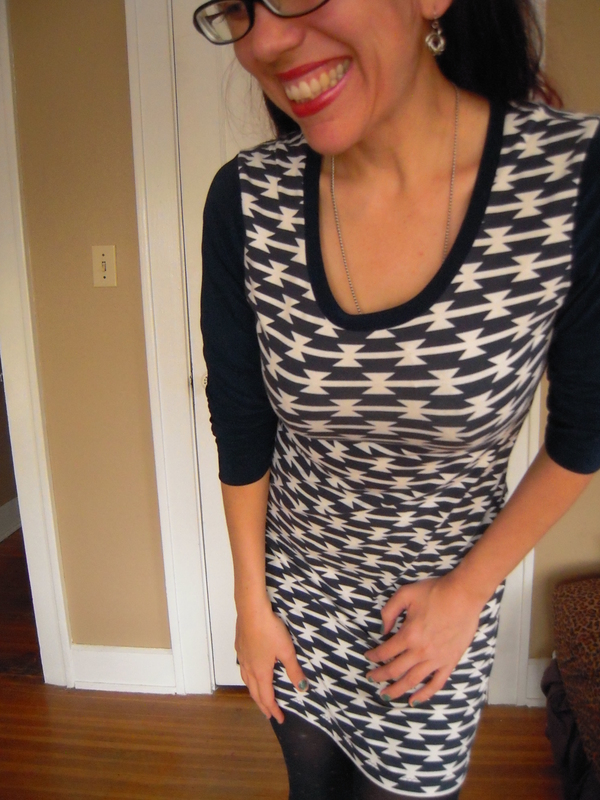 Sweater dress weather is here!